One way or another, we are all obsessed with ensuring our survival. It’s in our very nature to ensure our safety and existence for a long period of time. 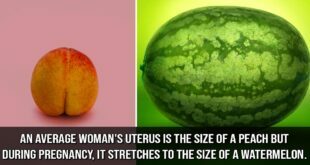 Our brains are hardwired to do so, but some people take extreme measures to ensure that when the time comes, they won’t have to worry. Technology is rapidly advancing every day with computers and robots being able to think for themselves as well as make decisions. Even renowned British theoretical physicist Stephen Hawking warned us about Artificial Intelligence. One man however, decided to take matters into his own hands. 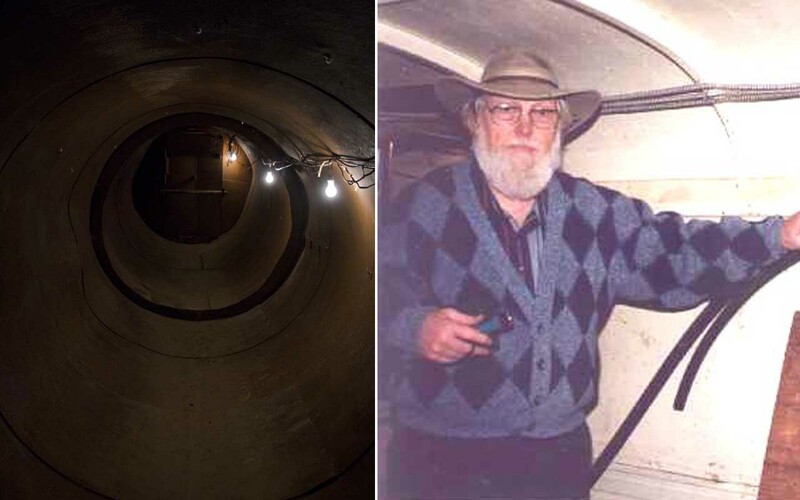 Bruce Beach, a Canadian, and his wife built a 10,000-square-foot underground shelter so that when things go south, they along with others can stay safe until help arrives. 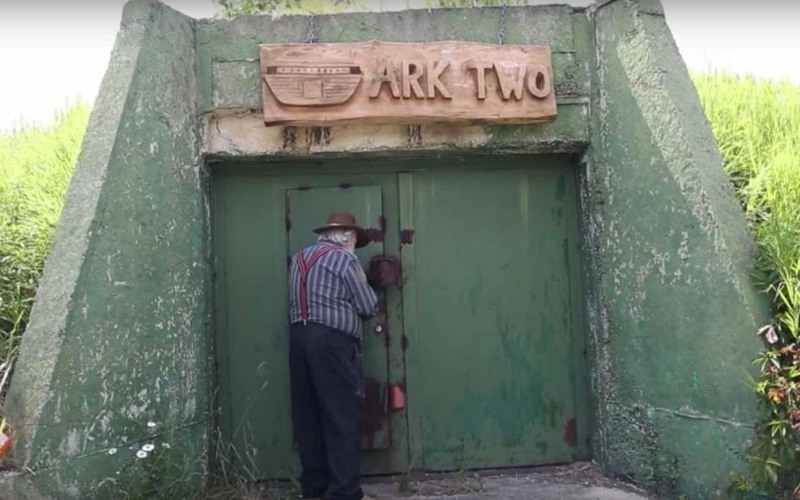 On the surface, the land appears to be a typical rural property, but buried deep under those green fields is the largest private nuclear fallout shelter in North America – The Ark Two. Located in Horning Mills, Canada, the shelter resides on 10,000 square feet of land. Bruce Beach, 83, began the project in 1980 during the height of the Cold War. In 1982, the construction was completed. Bruce, originally from Winfield, Kansas, was working in Chicago as an engineer when the cold war had begun to escalate, and fear of nuclear weapons was causing rising tensions. In 1970, Bruce decided to move to Canada, since he considered that he would be safer there than anywhere else at the time. 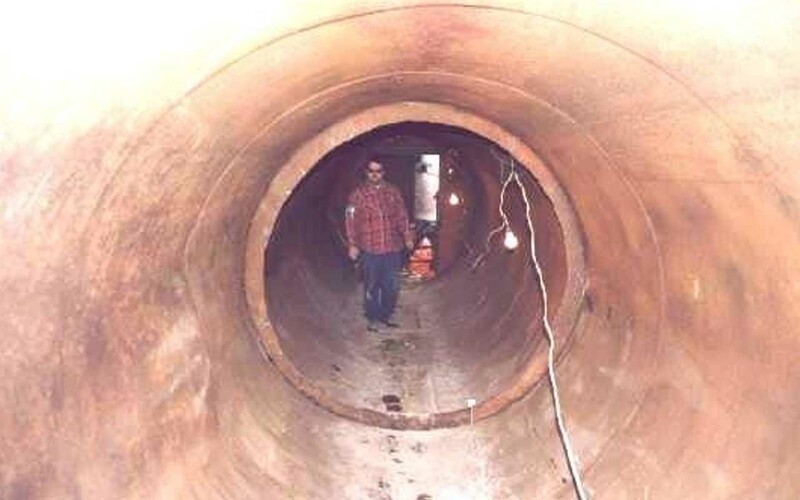 After settling in Horning’s Mills, Bruce met his future wife, Jean, whose family owned the land where Bruce would build one of the biggest nuclear fallout shelters in North America. 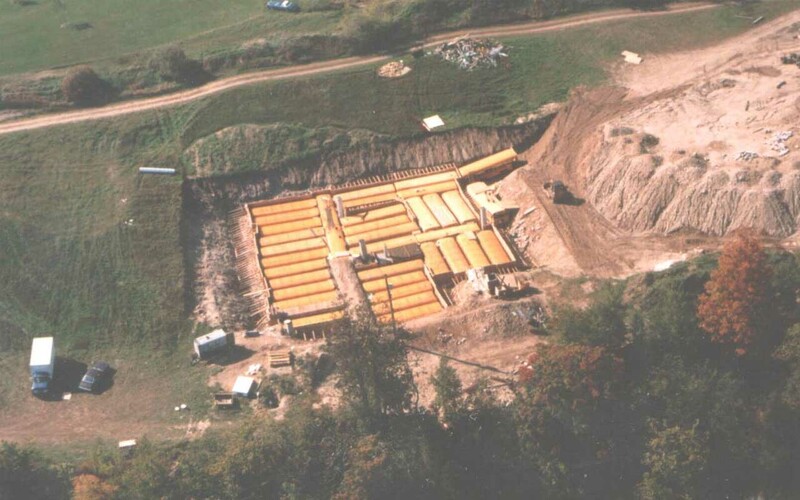 In order to enter the shelter underground, there is a small above-ground portal that descends 14 feet below ground to access the matrix of interconnected school buses. In order to build the shelter, Bruce has spent hundreds of thousands of dollars on construction equipment and legal fees. He sees it as a necessity for the future of the human race. 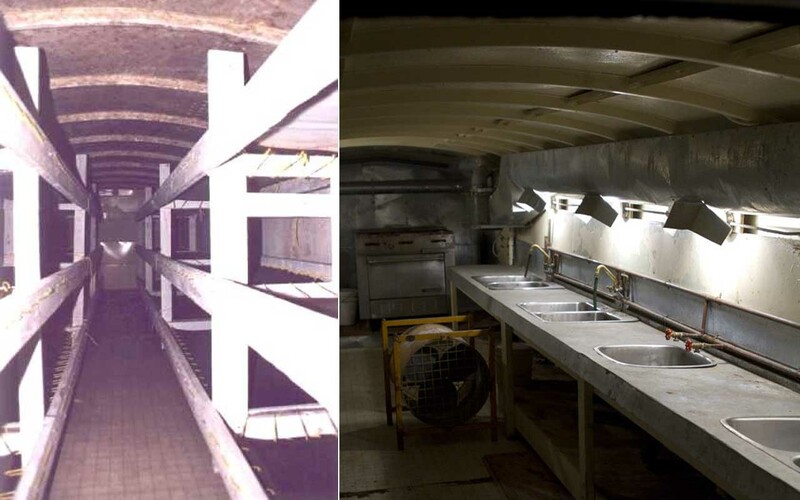 The Ark Two is an underground complex made of school bus shells with fully functional rooms, including two kitchens a radio communications center, a doctor’s office, an exercise area, and even a laundry room. 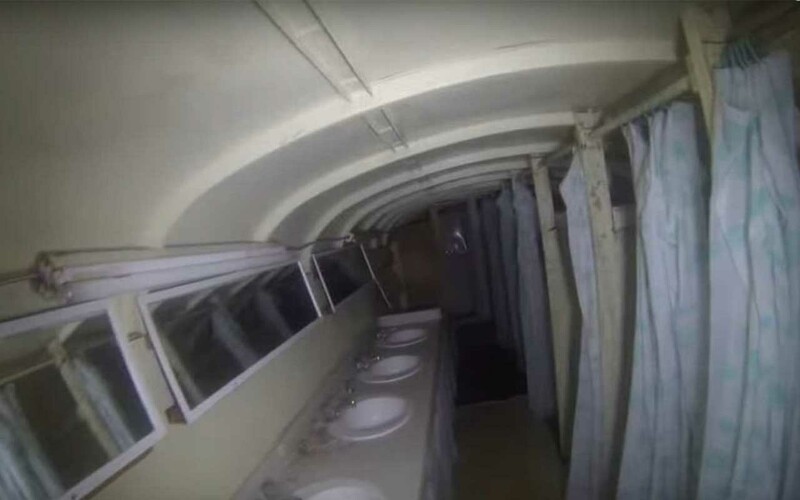 A peek into the bathroom facility which holds several sinks and toilets. 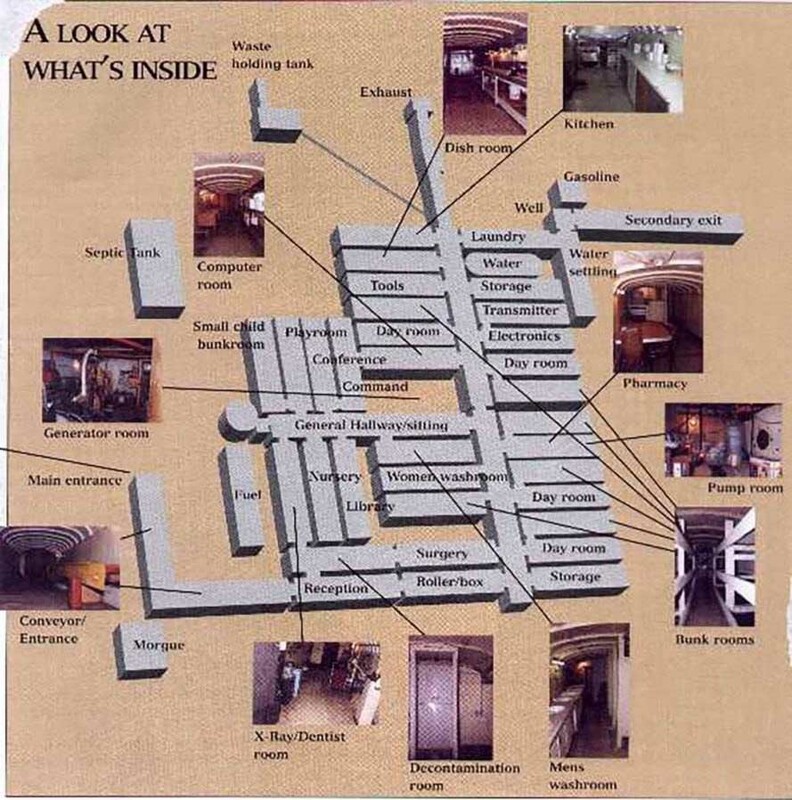 A special system is designed to handle waste. In an interview with the National Post, Bruce explained that the Ark Two is: “not for survival, but rather for the reconstruction of society” after an atomic catastrophe. Since the construction began in 1980, Bruce has been constantly taken to court by the Canadian Government, since he started the construction without a permit. Since his endeavor, he has been in conflict with the government for over 30 times in a period of 30 years. 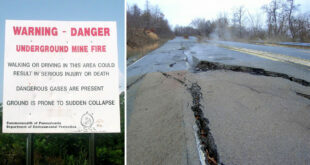 Officials cite the public safety issue and claimed that it is hazardous. They want to weld and shut the entrance to prevent anyone from gaining access to it. Bruce argues that it is the exact opposite of hazardous and is something he built to protect people in case of an unexpected cause. The Ark Two is also equipped with a steady supply of basic utilities such as lighting, heating, running water, an intricate air circulation system, and three months worth of diesel fuel to power the shelter’s electric generators. The Ark Two can accommodate almost 500 people and provide them with clean water, food and air for months. Although he’s doing it for a good cause, he has no support from the government. However, Bruce has been trying to win public support and build relationships with the media by giving inside tours. His attempt has been successful so far and has been backing him and his efforts to sustain life. For now, officials are leaving him alone and Bruce now offers volunteer opportunities and “work weekends” to update the equipments and inventory. Those who volunteer and help out are guaranteed admission in case of a catastrophe. 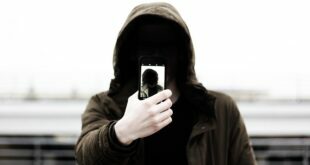 One of the biggest challenges in the project is the fact that technology keeps rapidly changing. 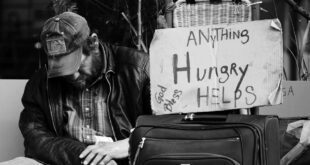 Since the shelter was invented more than 30 years ago, the systems used in the project are outdated today. The shelter’s three security monitors are from old Commodore 64 computers, and a working landline with a rotary phone. Over the years, Bruce also had to throw out tons of food that was expired. However, both him and like-minded volunteers see this as part of preparing for the ultimate. Today, there are only about 50 volunteers who are interested in the project but Bruce believes that the day will come when everyone will need him the most. If you wish to take a tour of the shelter, Bruce will gladly take you down throughout the shelter; with just one condition. You must contribute to some manual labor towards the project in return.